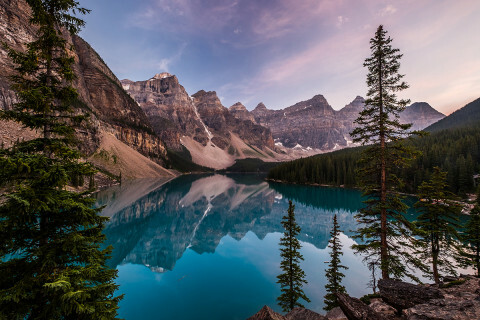 Canada is celebrating its 150th anniversary this year, and is offering everyone free admission to its national parks – what a great reason to visit Canada’s oldest national park, Banff. Why you should go: Banff offers amazing views all year round for outdoor explorers. In the summer months activities can range from hiking and climbing to mountain biking and canoeing. The ski season runs from November to May and is one of the longest in North America: explore the 3 major downhill ski resorts operating within the park, or enjoy dog-sledding and the hot springs. 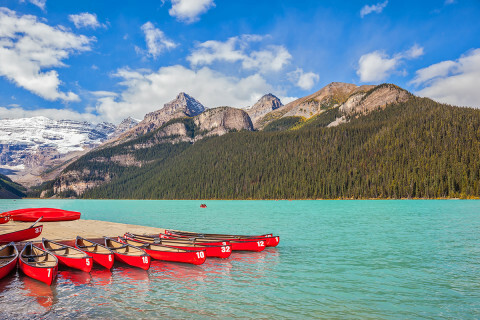 What to do when you’re there: Visit the iconic Lake Louise for a picture-perfect view – and don’t forget to book your white water rafting trip! You can choose from a gentle family trip or the ‘Maximum Horsepower’ adventure. 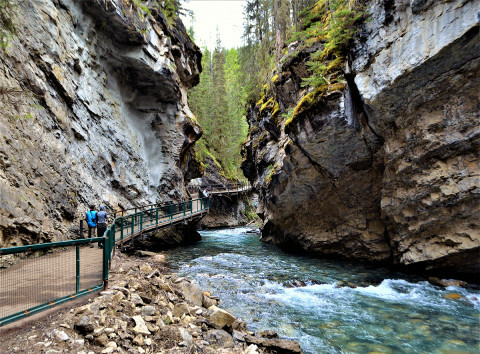 The Banff Legacy Trail – built in honour of the park’s 125th anniversary – is a must to experience spectacular views. Recommended route: Those who prefer easy trails in mild climate instead of steep mountain tours are exactly right on Johnston Trail. Not for nothing is it one of the most popular hiking trails in the entire region, where you can discover several stunning waterfalls. Where to stay: There are plenty of homes and cabins to rent for your stay in Banff, such as the Johnston Canyon Resort, which sits right next to the some of the best hikes in the Canadian Rockies. Where to eat: We’ve heard that Tooloulou’s is a great place for delicious food. You can also find a list of recommend family places here, or - if you’re looking for a bit of luxury - Eden is worth a visit. Interesting fact: Banff National Park was the third National Park in the world, and has more than 1,600 kilometres (1,000 miles) of hiking trails – heaven! Top tip: Weather can change quickly, so dress in layers, and make sure to display your free park pass.